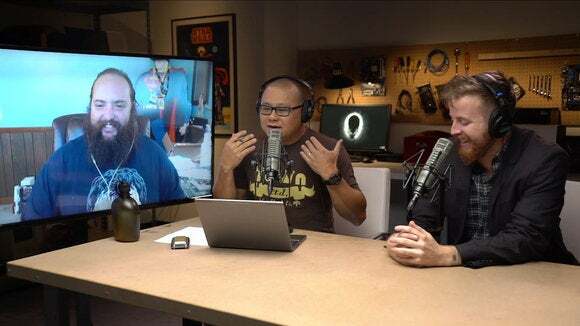 This week on The Full Nerd, Gordon Mah Ung, Brad Chacos, and Hayden Dingman predict just how much AMD’s upcoming Zen CPU will cost, riff on how powerful the PlayStation 4 Pro will be, and then debate: Star Wars vs. Star Trek. In the Builder’s Corner, Brad gives us the best GPU for the most common resolutions and some strategy for high-frame rate panels. Of course, we answer your burning questions about PC hardware. Have a question? Drop it in the comments or email [email protected] and we’ll answer it in the next episode. Watch the Full Nerd Episode 7 on YouTube right here or just click the play button below. If you prefer just the audio, you can also listen to the Full Nerd on Soundcloud.com. To find previous episodes of The Full Nerd, go here or visit our SoundCloud page for the audio edition. And you can always send us feedback about anything you hear on the show.